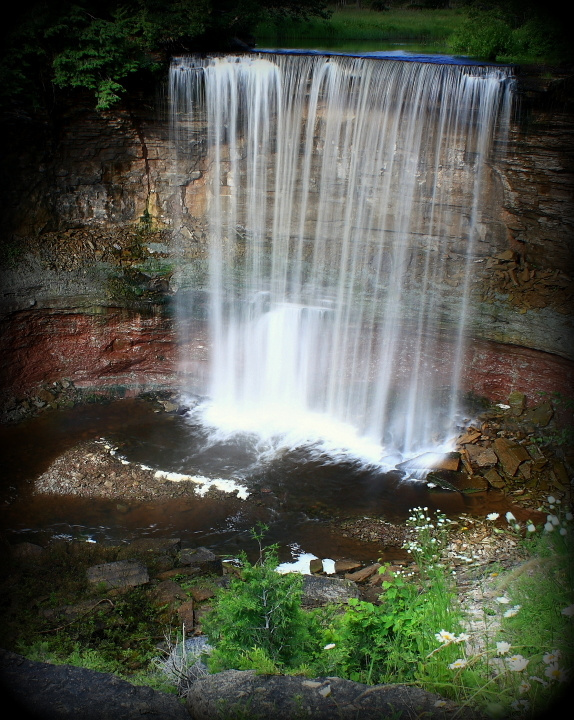 Indian Falls is a stunning waterfall located just north of Owen Sound on a conservation are in the small community of Balmy Beach. 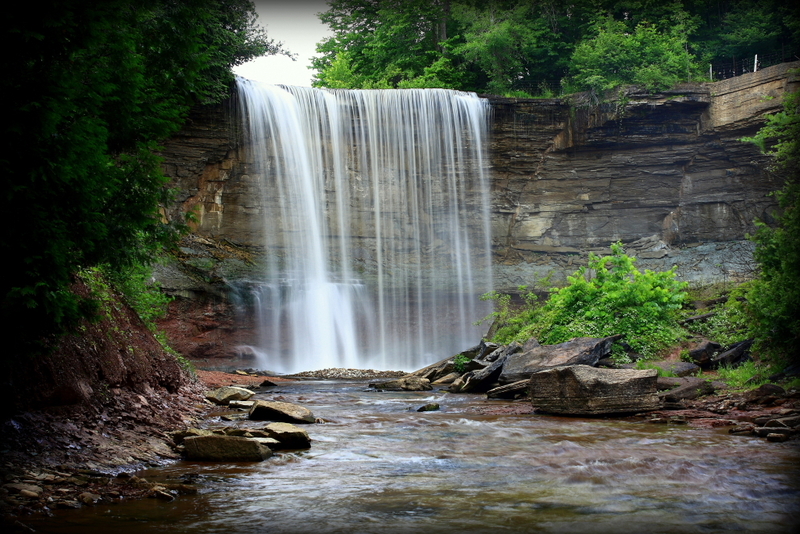 I chose an overcast morning to head out there and complete part two of my Grey County waterfalls series. The falls are a 15 minute hike in from the road, and the trail is unlike any rail I have hiked before. The lower portion is made up of almost entirely riverbed rocks, suggesting that in the spring, much of this trail could likely find itself under some water. About two thirds of the way into the hike, the trail splits, to the right is a wooden stair case leading to top level view of the falls, while the left follows the river to the base of the falls (although I am not really sure the left path is “official”). While I had limited time that morning and the mosquitoes were horrendous, I managed to take some shots from both vantage points. I definitely need to go back soon and spend more time. This entry was posted in Landscapes, Photo of the Week, Self-assignment. Bookmark the permalink. What a breathtaking waterfall. I wish I was there to hear it. Beautiful shots Mike. Thanks Amber! It’s a stunning location and I want to go back soon to try and do it justice. Great stuff, my good man. Is there a little vignetting around the edges – maybe from using filters? Very good work though. Kudos. Thanks Dave! Good catch, there is some vignetting and I did use filters. However, I was zoomed in a bit so the vignetting isn’t from the filters. I wasn’t quite happy with how certain elements led the eye out of the frame – so I added the vignetting in post to help close off the edges a bit better. I was quite pleased with the result.